Wrestling champion, Cael Sanderson, was born on June 20, 1979 in Salt Lake City, Utah. Cael Sanderson is a wrestler and is currently head wrestling coach at Iowa State. A 2004 Olympic champion, he also went undefeated in four years of college wrestling (159-0), including four consecutive NCAA titles (1999-2002) and was the first NCAA wrestler to go undefeated with more than 100 wins. Sports Illustrated named his college career as the No. 2 most outstanding achievement in college history. 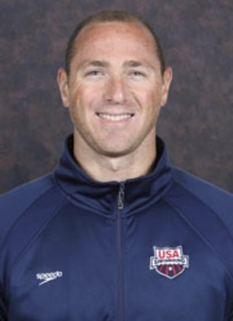 He was also the 2003 World Championship silver medalist, and a three-time national freestyle champion (2001-03). Cael was the third of four Sanderson brothers to win high school state wrestling titles in Utah while wrestling for Wasatch High School in Heber City, Utah. Sanderson had a 127-3 record with four state titles. He was coached by his father Steve. He was also an All-Region selection in football. 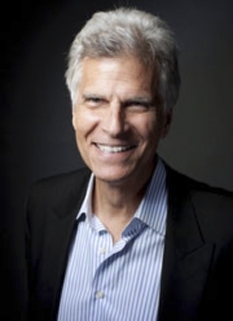 After graduation from Wasatch High in 1997, Sanderson matriculated at Iowa State University. He redshirted the 1997-98 season. The following season, Sanderson won all 39 matches and the NCAA title at 184 pounds. He became the first freshman in NCAA tournament history to be named the NCAA Wrestling Team Championship's most outstanding wrestler. 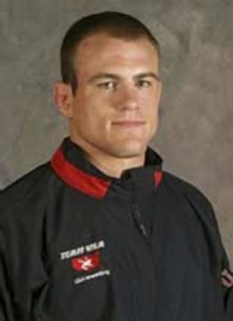 Cael Sanderson continued to have success in 1999-2000. He completed the season 40-0 with another NCAA title. He also won the Dan Hodge Trophy as the nation's most outstanding college wrestler. He was the first underclassman to win the Hodge Trophy. In the off season, he won the World University title in Tokyo, Japan. As a junior, Sanderson went 40-0, raising his record to 119-0. 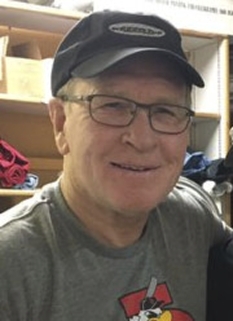 He broke Dan Gable's record of 100 consecutive wins. He was also named outstanding wrestler in the NCAA tournament and was the first two-time winner of the Dan Hodge Trophy. Sanderson's 2001-02 campaign was a coronation of sorts. He again went undefeated at 40-0, becoming the first NCAA wrestler to go undefeated with more than 100 wins. He became the second wrestler to win the NCAA title in four consecutive years, the first being Pat Smith. He also won his third Dan Hodge Trophy as outstanding wrestler. Sanderson set the school record with 159 wins. His success brought attention even from non-wrestling fans. 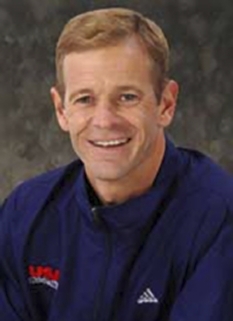 Sanderson was the first wrestler featured on Wheaties cereal boxes for his achievement. His final college accomplishments were a record of 159-0, 4 NCAA titles, 3 Dan Hodge Trophy awards, 4-time NCAA Outstanding Wrestler, and 4-time Big 12 Champion. After his graduation, Cael Sanderson worked with the wrestling team at Iowa State while training for the 2004 Olympic Games in Athens, Greece. Sanderson won gold at 84 kg (185 lb) at the 2004 Olympics, defeating Eui Jae Moon of South Korea in the finals. On March 29, 2006, it was announced that Bobby Douglas would step down as Iowa State coach and that Sanderson would replace him. Sanderson has been successful so far, leading his team to a runner-up finish at the NCAA championships in his first year as head coach, and two Big XII team titles in two years. All four of the Sanderson boys have wrestled for Bobby Douglas at Iowa State. Cody, Cole, and Cael have all graduated while the youngest brother, Cyler, is currently a 157lb wrestler. DISCLAIMER: PFP Sports Talent Agency does not claim to represent itself as the exclusive agent for Cael Sanderson. PFP Sports Talent Agency is a booking agency that represents organizations seeking to hire pro athletes and sports personalities such as Cael Sanderson for speaking engagements, personal appearances, product endorsements and corporate entertainment. Fees on this website are estimates and are intended only as a guideline. Exact fees are determined by a number of factors, including the location of event, the talent’s schedule, requested duties and supply and demand. PFP Sports Talent Agency makes no guarantees to the accuracy of information found on this website and does not warrant that any information or representations contained on this website will be accurate or free from errors. We are often asked how can I find out who is Cael Sanderson's agent? To find Cael Sanderson appearance fees and booking agent details, you can contact the agent, representative or manager through PFP Sports Talent Agency for speaking fee costs and availability. PFP Sports Talent Agency can help your company choose the ideal sports personality for your next marketing campaign. To hire Cael Sanderson for an appearance, speaking event or endorsement, contact Cael Sanderson's booking agent for more information.